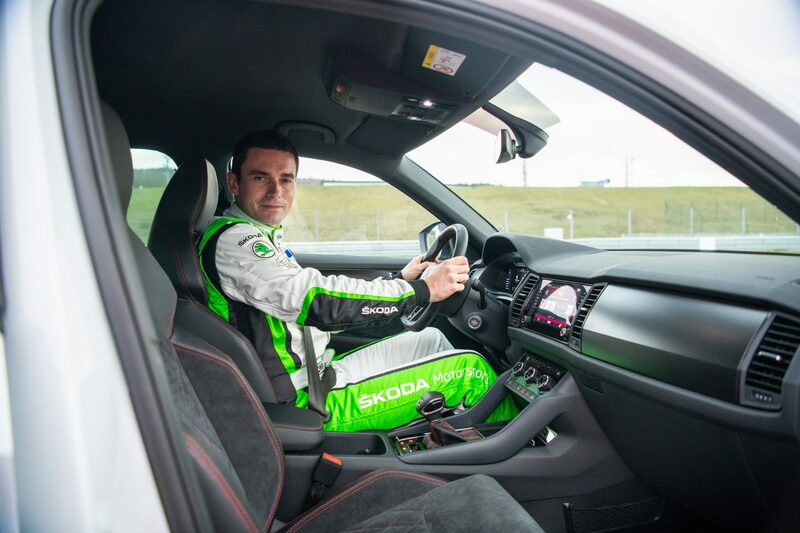 While the unstoppable ŠKODA FABIA R5 is his work car, Jan Kopecký uses the fastest version of the OCTAVIA – the RS 245 – as his everyday vehicle. 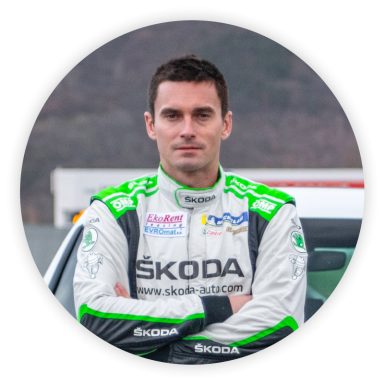 He believes that great handling is essential for a good car, not to mention the ability to safely overtake another car at any time. 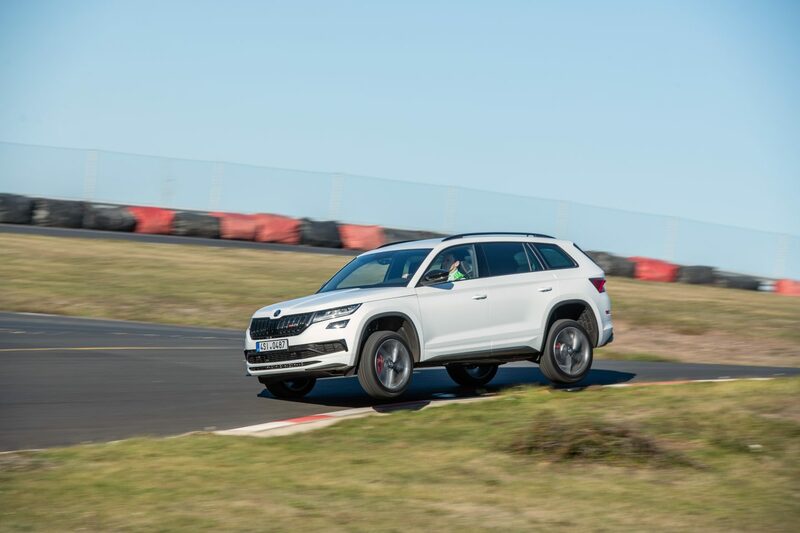 “The KODIAQ RS really took me by surprise on the asphalt. It handles very confidently, responds quickly, and it’s definitely much more sporty than I expected. It’s got plenty of power and torque, it gives you a good position behind the wheel, and it’s very manoeuvrable for its size and weight. It’s simply a very well configured car,” he said, describing his first impressions. 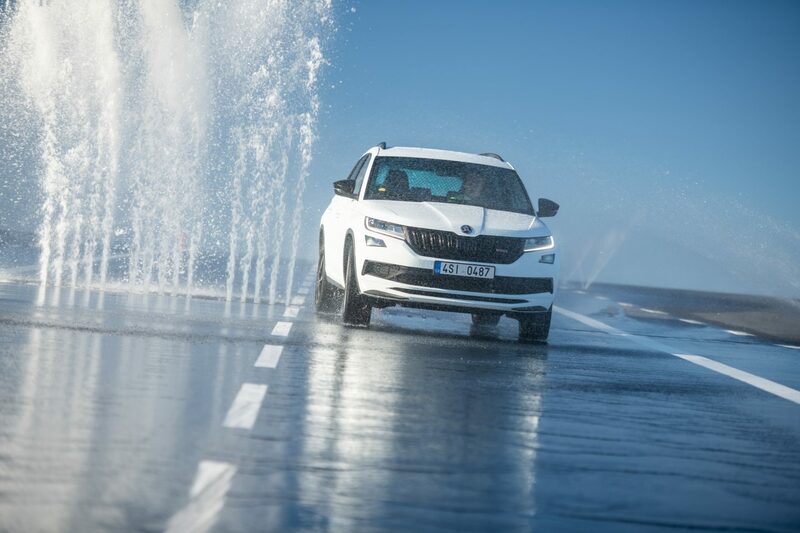 Jan Kopecký was given the opportunity to give the KODIAQ RS a tough workout both on a challenging skid pan and on a large race circuit. He pulled no punches, and when it was over, his response was nothing less than enthusiastic. He even went so far as to say that he would evidently be placing an order for a KODIAQ RS himself. “Most of all, I like its easy access to power. I can imagine overtaking a lorry really quickly with this car, and that’s great since safety should be paramount. The KODIAQ RS chassis is very rigid so it hardly tilts, and it’s also balanced very well. 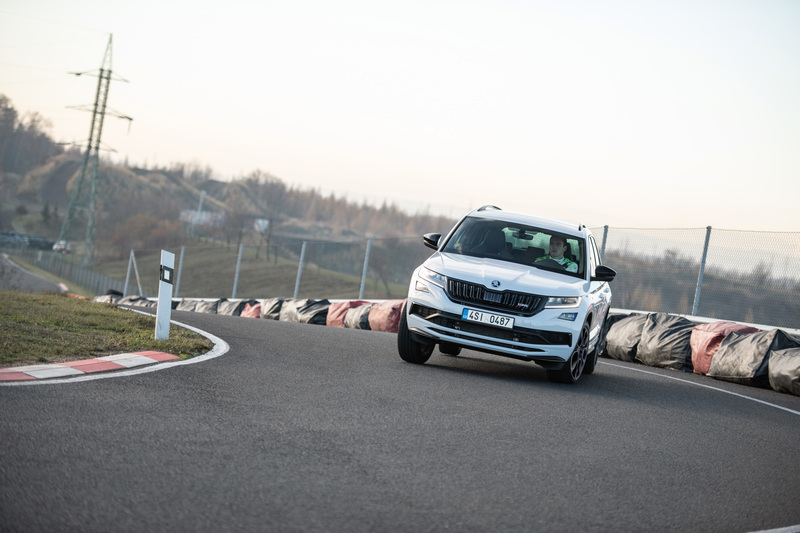 You can even take a light skid during driving, which is something you would not expect with such a big car,” Kopecký continues. And what surprised him the most? “This car sounds great! Inside and out, the sound is finely tuned. It definitely doesn’t sound like a four-cylinder diesel when you’re driving it – more like an eight-cylinder,” Kopecký concludes.